This was our 5th year to vacation in Palm Island! This house was by far our favorite! It was located right next to the pool and hot tub in addition to being only a few feet from the ocean! We had everything with in our reach. The house was clean, spacious and had all the amenities needed! I will be booking this house for next year!" Tennis courts were not maintained"
Our unit had a great location with a wonderful view of the Gulf and a view of the pool as well. The weather could not have been better and the Gulf was very calm." Very relaxing and enjoyable, but long ferry waits and just a single restaurant on the island limited our options." We have been visiting Palm island for the last 5 or 6 years. It's a great vacation spot for friends and family. We enjoy: having easy access to the beach and pools, your own private kitchen, washer/ dryer in unit and grills in pool area. It's also fun to drive around in gulf carts (rented from Coconuts). Each unit is privately owned so the conditions and level of updates vary. Unit #1324 has great views and is close to the pool, but it could use some updating. The carpet is worn and the washing machine barely works, besides that no complaints! " After coming to Palm island for over 20 years this was my first time on island for Easter! Pulling up to the resort on Good Friday and seeing the crosses was a blessing to my soul. My husband, my 3 sons and I shared communion at the foot of the cross that evening and attended the Sunday service! We were blessed! As always the island was beautiful, weather was perfect and the staff helpful! We love Palm Island! It is truly set apart!! We'll be back as soon as we can! " Great 3-bedroom, 2-level unit overlooking the beach and Gulf of Mexico. Adjacent to a pool, and a short walk to the beach. Unit was immaculate. Didn't bring our tennis racquets, but several courts were a short walk away. It was too windy to kayak, but we did that during a prior visit and had a great time. Restaurant on the property had an excellent variety of meals. Food was well-prepared and reasonably priced." As expected...Relaxing, Quiet, Peaceful, Hassle Free and Warm !!!. Thanks to the great staff for yet another great stay." "Great stay, beautiful view and location. "Perfect autumn weekend at Palm Island Resort. The view from our villa was so beautiful. We had spectacular sunsets. Palm Island Resort is a terrific place for a family reunion or just a quiet weekend getaway." We had a very nice time on the island in spite of the red tide consequences. The resort is beautiful, peaceful and very well maintained." Oct 25, 2016 - Diane G.
The island is amazing. The Palm island resort staff is great. However this is a unit that needs serious attention in regards to furniture and serious maintenance needed. " A fine, relaxing week at the island, as usual. We love the place, having stayed there almost (30 out of 33 years - since it first opened. Then it was called the Island Harbor Resort, then the Sea Palm resort, then becoming Palm Island Resort." Very nice view, loved the stay there. Me and the wife would like to make plans to stay another time with more family. " Very friendly and helpful staff. Condo was still being painted on our first full day there, but staff compensated us for inconvenience. Carpets in the unit were very old and should be replaced. Beautiful view. Would probably ask for newer condo on a future visit with a better interior. Bell staff were exceptional and really helped in every respect!" We rented two 3 bedroom units for a family get together. Though both were considered Delux, one of them was extremely run down. The rug was ripped, the dinning chairs need urgent repair, the air filters were filthy, in other words a complete make over would be necessary. The second unit was up to the Delux standard and very clean and updated. The location of both was great as was the time at the beach. We all enjoyed our stay but if we do go back I will make sure the units rented are up to par. Island is great. Family had great time. Look forward to a return trip." We went to the resort for a family wedding in April." What a beautiful serene resort!! The view from our room was to gorgeous!! We stayed here for a wedding and loved every minute! We look forward to staying here again in the future. Highly recommend! " As always, the stay at the Palm Island Resort was fabulous! Our Villa looked out onto the Gulf, which was so relaxing and watching for the dolphins was a treat. We saw many! I would definitely recommend Palm Island Resort to anyone who is looking for that relaxing, beautiful vacation! We will be back next year, that's for sure!! :)"
We come every year and have been for the last 25 years. Palm Island is now in our blood. We love the laid back atmosphere. I would like to thank both Marty and Susanne for their assistance and concern for our satisfaction. They are assets to the Palm Island staff. All I can say negative is the the worst thing about Palm Island is LEAVING! SEE YOU NEXT YEAR...."
"Fantastic Getaway exceeded our expectations! We had a wonderful time at the Resort and would not change anything. ALTHOUGH IT RAINED OVER 8 INCHES IN THE TWO DAYS WE WERE THERE - WE STILL HAD AN AWESOME TIME!!! IT WAS VERY RELAXING, LOTS OF FUN AND WE WILL DEFINITELY BE BACK! " We had the best time ever. The food at the restaurant was unbelievable." MY THIRD RETREAT WITH 7 WOMEN. FEEL LIKE WE ARE TREATED ROYALLY. THANKS FOR BEING SO PERFECT. LUV TEDDY"
We were told by the management that this condo had 2 king beds plus 4 twins. NOPE only 1 king please change your records." We love Palm Island!!!!!! This was our 26th year there and we shall return." We love staying at Palm Island Resort. We drive down from the Tampa area 2-4 times per year. It never gets old :) Kids love it too." We had 36 woman on this retreat and all were extremely happy. We did have one room without a functional shower in one of the bathrooms but by the time I found out about this, they had made arrangements and just allowed for everyone to use the same shower. It was a great experience and we are already working to see which group we would like to bring there next." Fun, relaxing, and very quiet"
My husband and I and another couple stayed at the Palm Island Resort. Our condo was right on the beach. The livingroom and master bedroom faced the gulf and it was beautiful. The ferry was very easy to use and the resort was easy to find. The beds were super comfy. The condo was in great shape, everything was clean. However, upon our arrival, we noticed sugar ants in one of the guest bedrooms and LOTS of sugar ants all over the kitchen. We had to keep all of our food in the refrigerator so that ants wouldn't get to our food. Additionally, on the second day of our stay, the power in our building went out (for no apparent reason, there wasn't a storm or anything) and was out for about 7 hours that day. The resort worked to fix the issue but that is a long time to go without AC in the summer, not to mention dark bathrooms, etc. We went kayaking two days and the area for kayaking is absolutely beautiful. We kayaked through the mangroves and it was wonderful. A golf cart rental was included in our stay, which was nice because the resort area is quite large. We had to get our golf cart replaced 2 times because of battery issues, which was slightly annoying. Overall the weekend was fun and relaxing. However, we would have preferred to not have the power go out, not to have to switch out golf carts several times, and not to have to deal with ants in the condo. We purchased this trip as a living social deal so I can't complain too much because it was really cheap. We probably wouldn't go back and pay full price after the issues encountered, though. " This is the 4th time we've been stayed at Palm Island Resort and look forward to the next visit. The accomidations have always been clean, comfortable, nicely decorated and the kitchen fully supplied with everything needed to cook what you bring to eat or drink. The staff has always been very accomidating from our arrival to our departing. The ocean water is very clear and shells are abundant. The only point of caution is the abundance of sand fleas so bring a replelant. Our family gives it a score of 10+. " When you drive off the ferry, you are in a different world - great beach, great view and comfortable accomodations for a very reasonable price. Third time there and plan to return." This was our 2nd stay in two years -- each for a full week. Stayed both times in a 3bdrm 3bath. This year though we had an excellent time, the villa/cottage was not as clean, mainly the carpeting. We reported problems with some bugs and were 'provided' a can of spray. The maintenance dept should have taken care of this issue. There were more than enough dihes etc, but a large frying pan or griddle would have been great. Overall though we had a great time and will be back next summer. " Quiet, beautiful location, comfortable. This is the perfect getaway. Just enough to do without feeling like you have to go-go-go. Marti was a great help in getting our reservation placed. Highly recommend!" This place was a paradise. The condo was amazing. Everything we needed from kitchen equipment to beautiful sunsets. The room was very clean aside from a musty smell when we first arrived (nothing a little Fabreez couldn't handle)must have been from not being used in a little bit of time. The office staff was very helpful. Marti was my fav. She helped me with all my hundreds of questions from the start of the reservation process months before our trip. If you want to get away from the world, this is the place to go. No cars on the island, no bright lights just quiet relaxation. And the shells... there were so many untouched that every one was a gem. We easily found 18 sharks teeth, (prehistoric) sand dollars, (which we left in the ocean) and tons of shells. Dolphins were a visual daily. The view was so incredible that from the second floor balcony it looked like you could see the curviture of the earth. What a getaway!!!!" We had a terrific week at the Palm Island Resort. The 3 bedroom unit had an incredible view of the beach and was conveniently located close to the pool. We would stay at the resort again in a heartbeat!" Condo could use some updates. Need new carpet and water pressure in showers was terrible." We have been coming to this event for 5+ years. It keeps getting better each year. Our rooms could have been updated a tad but really not to bad. Our bed was very very comfortable. 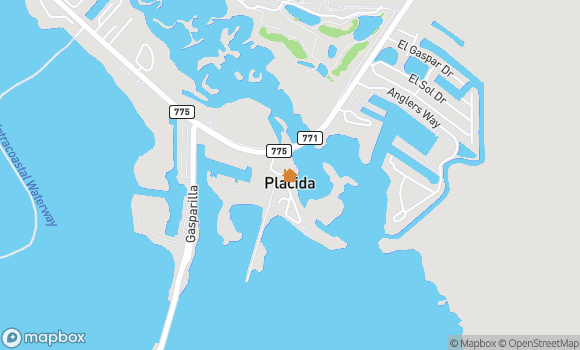 The room was stocked properly and completely"
I have been traveling to this spot yearly since 1995 and have found it to be the best vacation deal and location in FL. LOVE it. But don;t book the Frat Party in the future - they were NOT the type of guest I wanted to be around for a relaxing week." "Great place to get away and unwind! Very nice week away to recharge your batteries. Resort and RumBay's were the best. The beach and pools were fantastic! The gulf breeze and sunsets are magic! However, we went to Leverocks via the water taxi for my wifes birthday. The water taxi ride was great, but the food quality at Leverocks was very poor (great people and service, but food was over priced and not so good). So we rate Palm Island Resort with a 9 out of 10." We were disappointed with our unit. Furniture was sparse, no dresser in the loft bed room and only one bedside cabinet(the other side of the bed had a t.v. tray). There was no table or desk under the stairs for cameras, magazines, etc. Most of the furniture was original(20+ years old)and in bad shape. The carpet had spots and several snags. The lawn chairs were old and peeling and there were only 4. The vacuum cleaner was very hard to use and the broom worthless. One of the closet doors in the loft did not open and the door on the terrace did not latch. The beds were comfortable and the bedding very nice. The kitchen was very nice, although there was no space to store food. The bathrooms very very nice. The location was great with an awesome view. " "Florida at its best. Miles of beaches. Quiet. Low noise, low light. A perfect family vacation spot. "We have been coming to PI for the last 20 years!!! Granted you have done a good job with the grounds, pool, and are now working on the exteriors but each time we have come down the units we stay at are a shoot. How is it that I pay the same for a wonderful well maintained unit and for a dump that hasn't been updated since 1984 when you opened???????? We have been coming to Palm Island since 1990, and each time, it's better than before. Beautiful accommodatins, lovely beach - very relaxing. Could stay there forever!! Definitely worth visiting." Beach chairs horded by guests who rarely used them. AAA discount no longer allowed. Again, very disappointing." The golf carts were a little expensive (especially since they don't run on gas and they were necessary for getting around). I would have been nice to at least receive one golf cart complimentary to for our group. The restaurant on the island didn't have a very good section of meals. The condos were spacious and comfortable. The island itself was beautiful and extremely relaxful! Thank you for the great service from all employees, especially the bellman who assisted our group in many ways! We have spent many vacations at the resort and have enjoyed them a great deal. This years condo had awesome views and a great location, but the inside decor and basic furnishings left a lot to be desired. The master bed was old and showed obvious signs of sagging even with the bed made. The carpet needed to be cleaned and on our last evening we were greeted by several roaches. Overall we had a great time, but on our next visit will request a different unit or verify that refurbishing has been completed before staying in this condo again." Poor condition of Golf Carts, we had to turn several back in, the resort needs to properly maintain them. We did a lot a walk & pushing of Golf carts. This was unacceptable. All else was good. Thanks Pat R. "
"Unit needs to be cleaned thoroughly, new linens, clothes dryer broken!